One of the best animated films of the year, Hiroki Yamada's short film is a stunning short concerns a a little girl who moves to a new town, loses a hat, gets a feather from a god and makes some new friends. 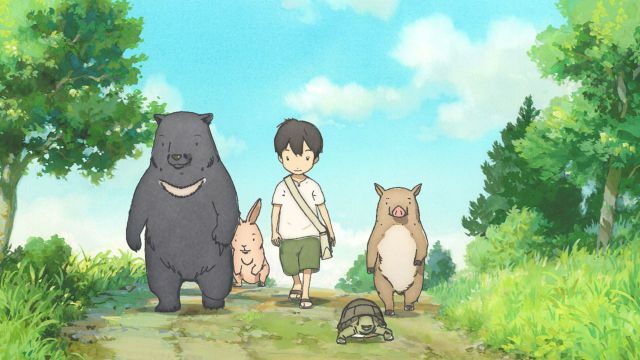 A stunning pastoral slice of life where animals go to schools with humans this is a lovely and charming a film as I've seen. It is a masterpiece of the highest order and Yamada should be given a feature film ASAP. How good is the film? Lets just say that Ghibli should worry about what Yamada can do.